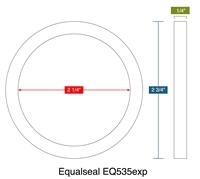 Equalseal EQ 535exp Expanded PTFE is made in a process that produces a uniform and highly fibrillated microstructure with equal tensile strength in all directions. 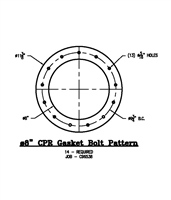 The result material is much softer and more flexible than any other form of PTFE sheet and as a gasket, conforms easily to irregular and rough surfaces. In addition, the material is easier to compress and minimizes creep and cold flow, associated with skived PTFE sheet. 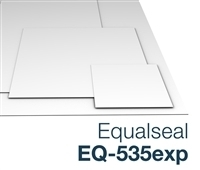 Equalseal EQ 535exp Expanded PTFE will seal all aggressive chemicals over the entire 0-14 pH range except for molten alkali metals and elemental fluorine. Made from 100% virgin PTFE, and will not contaminate or discolor end products.